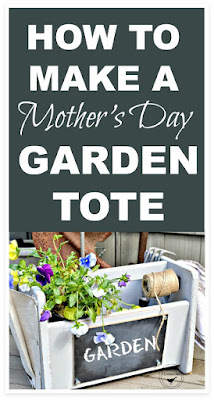 I'm thinking garden tote and here are the steps I took to turn that old mess into this beautiful tote perfect for Mother's Day. 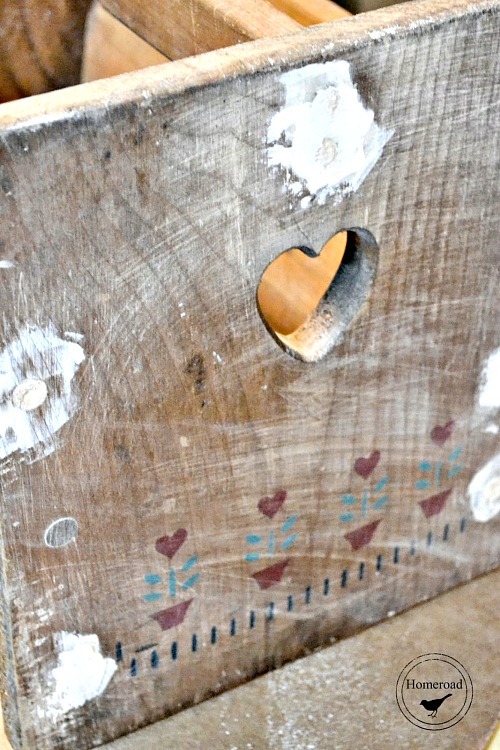 I started out by filling all the holes in the wood where the box was assembled with wood filler. 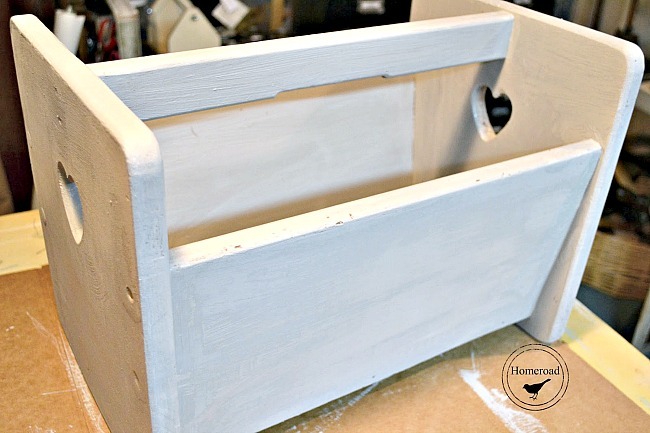 I gave the box a good sanding and a coat of grey chalky paint then sanded the edges to give it a distressed look. 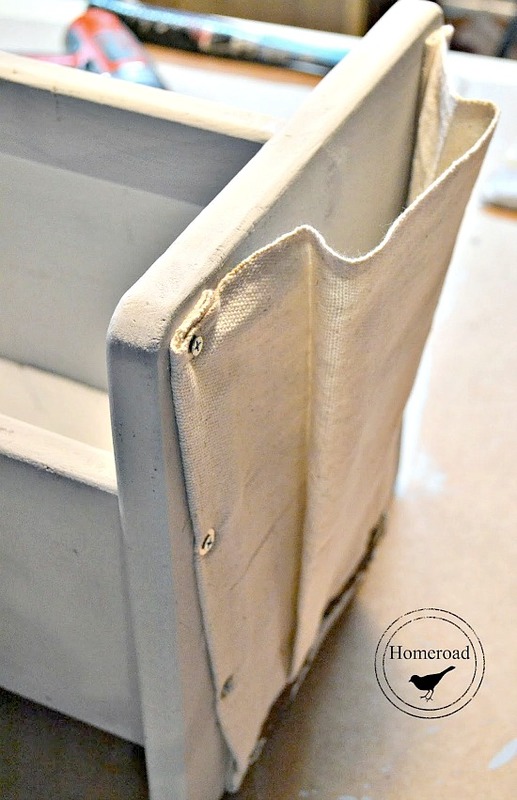 On one side of the tote I added a handle to hang a towel and on the other side of the box I created a canvas pocket from a scrap of canvas fabric. I attached the pocket using screws and washers to hold seed packets or papers. 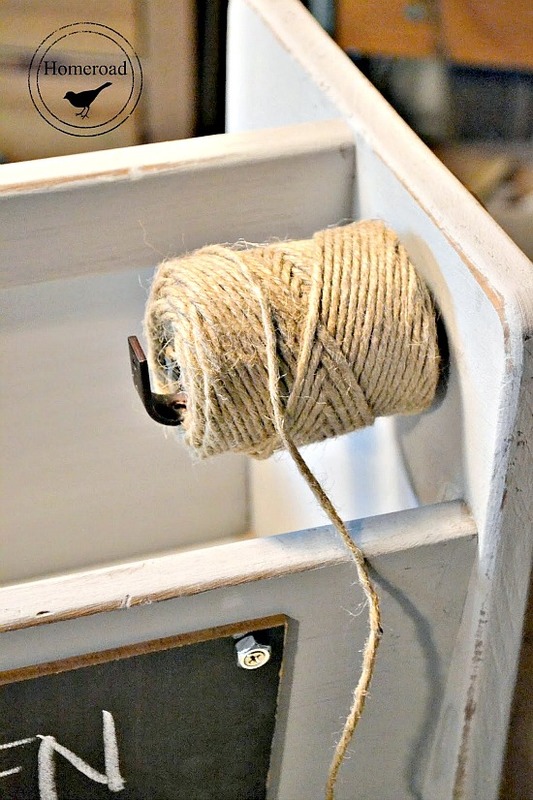 I used an old curtain rod bracket to hold a roll of jute string on the inside of the tote. and then added a chalkboard to the side. 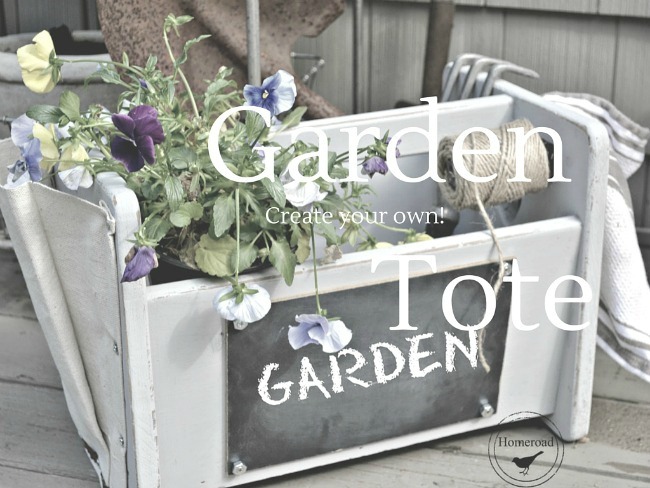 The finished tote is so useful in the garden or for crafts, office supplies, knitting, or even in the kitchen. The 80's never looked so good! 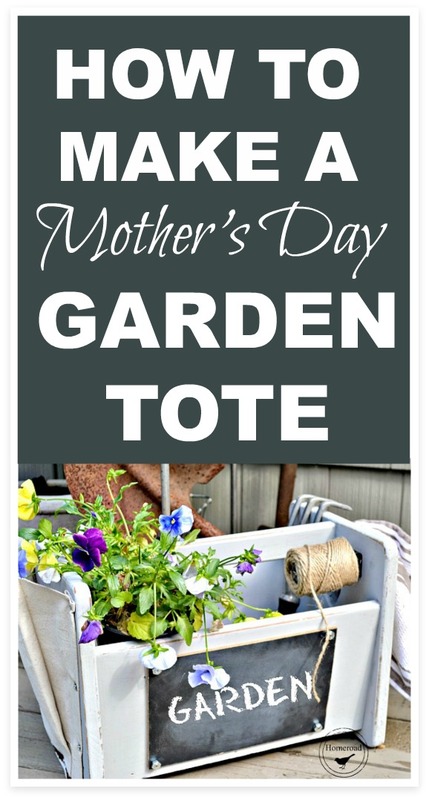 A great DIY Mother's Day gift! What a great idea! 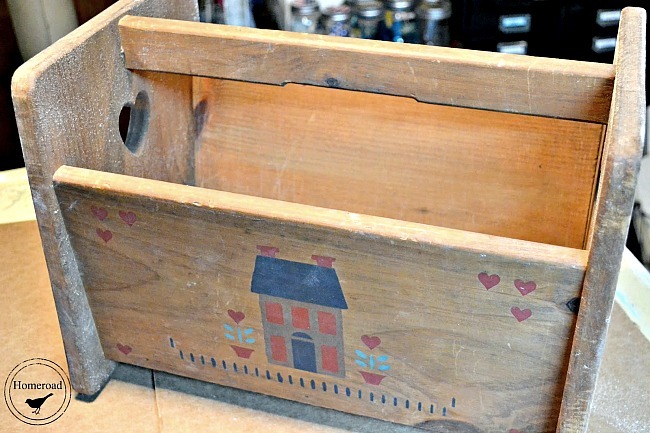 I probably would've passed on that old magazine rack but not anymore!!! Keep your eyes open Candylea! You never know what might be your next favorite thing! Wow, what a lovely, handy idea. 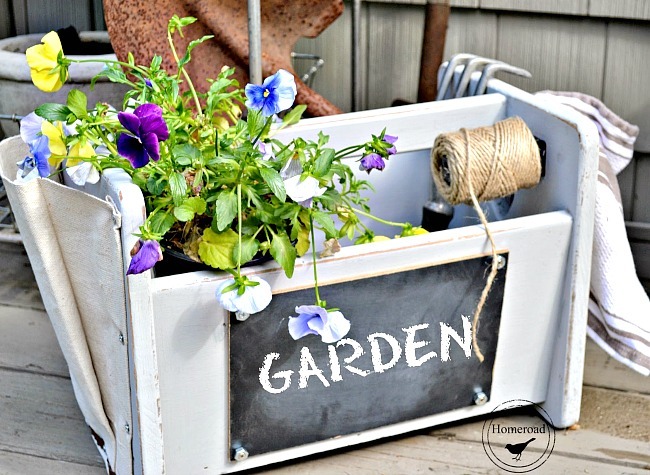 I have to try making one to. Hope you are having a beautiful Mother's Day. 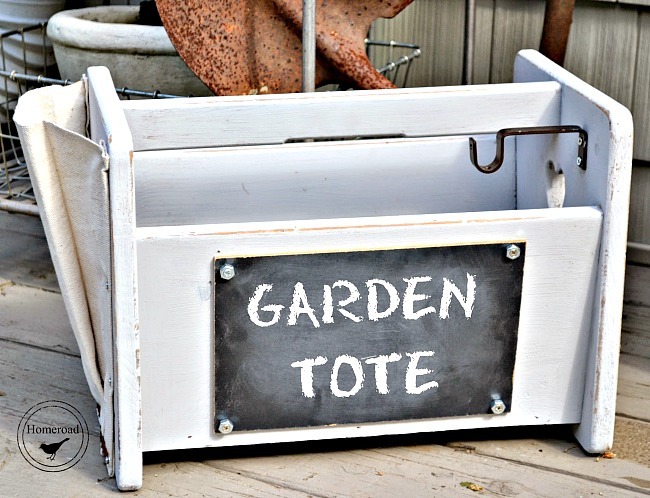 I love your repurposed garden tote so much that I might even take up gardening!